The welterweight division's title picture will get even more complicated this weekend at UFC Fight Night 82. 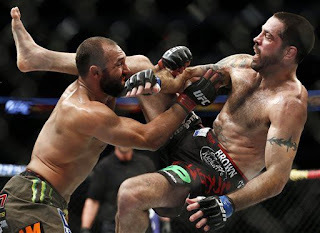 Cain Velasquez were pulled from the card due to injuries, this bout moved up to the main event. 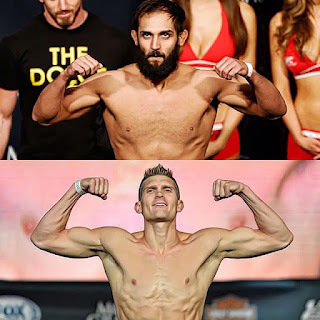 And while the UFC hasn't officially announced that the winner of the bout will get the next welterweight title shot, it should be assumed that the victor will be in the conversation. Right now, it's hard to say what the promotion will do with the 170-pound title picture. The only thing we do know is that Robbie Lawler is the champion, that's it. But as far as who should get the next title shot, it's so hard to say. Obviously Carlos Condit, who fought Lawler tooth-and-nail to a controversial split decision at UFC 195, is in the conversation. Condit has talked about retirement, but if he wants the title fight, he should get it, and the UFC should do the rematch with Lawler at UFC 200. 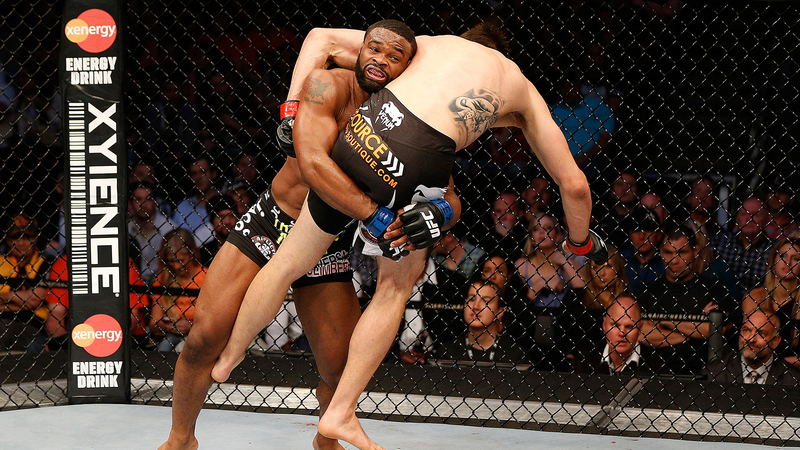 The problem is, Tyron Woodley is also waiting for his title shot. 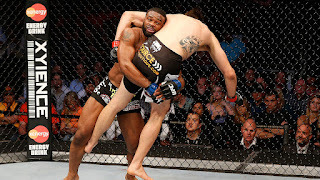 Everyone seems to forget that Woodley actually beat Condit back at UFC 171, and since then he has defeated Kelvin Gastelum and Dong Hyun Kim, but for whatever reason he hasn't gotten a title shot. 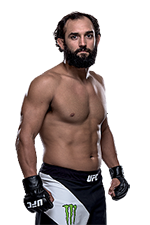 The cancelled fight with Johny Hendricks at UFC 192 -- Hendricks missed weight and the fight was scrapped -- surely didn't help keep Woodley's name in the mix, but it's not really fair that because his opponent missed weight he's been dropped out of the title conversation, especially when he's on a nice little win streak and in the prime of his career. In addition to Condit and Woodley, you can't forget about Demian Maia. Maia is currently riding a four-fight win streak, and if he beats Matt Brown at UFC Fight Night 87, you can't ignore him within the title mix. He's getting up there in age, and if the UFC matchmakers were smart, they'd give him a title shot sooner rather than later. And it would be hard not to put Brown in the mix, should he get the upset win over Maia. Then of course there's the winner of this weekend's fight between Hendricks and Thompson. Hendricks, the former champ, is coming off of a dominant win over Brown, and if he can take out Thompson, especially if it's impressive fashion, he'd definitely have the right to ask for a title shot. And if Thompson, who is currently riding a five-fight win streak, can get the upset over Hendricks, it would be hard to ignore him from the conversation as well. So it seems like there are five men who have legitimate chances of getting the next fight with Lawler: Condit, Woodley, Maia, Hendricks, and Thompson. 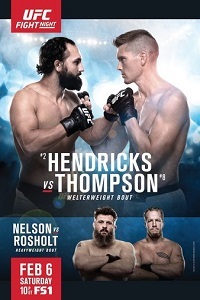 If anything, Hendricks and Thompson have an advantage because they are fighting this weekend, and so they'll be fresh in the UFC's mind when it comes to picking the next title contender. But it's super important that the winner of this fight wins in impressive fashion to stick out even more, because we all know the UFC is an entertainment-first sport, and the promotion wants to make the most exciting fights possible. It's in Hendricks' and Thompson's hands this weekend if they want to secure a title shot. They have the chance to go out there and put a stamp on the #1 contendership, so let's see if they take that opportunity and run with it.